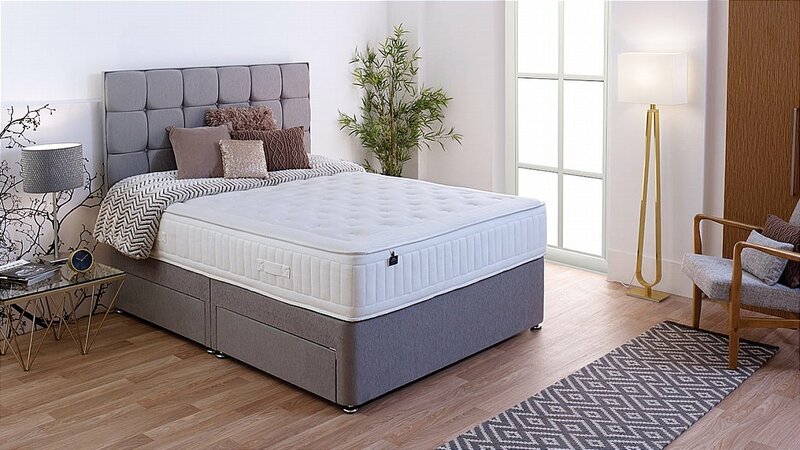 Stylish divan base made in-house and has a traditional platform top design for complete support plus a range of drawer options. Choose from non-storage, 2 large drawers, 2 large and 2 small drawers - Continental - which are particularly handy if you have bedside tables, or 4 large drawers, Ottoman. Divan bases are 40cm deep and available in all sizes and colour options. 2350 individually responsive pocket springs -in 150cm mattress- to distribute body weight evenly and provide complete support. Engineered Protection Surround System -EPS-locks in the latest dual-spring technology, whilst also maximising the sleeping surface area right to the very edge of the mattress. I would like more information about Pure 2350 Divan by Salus.